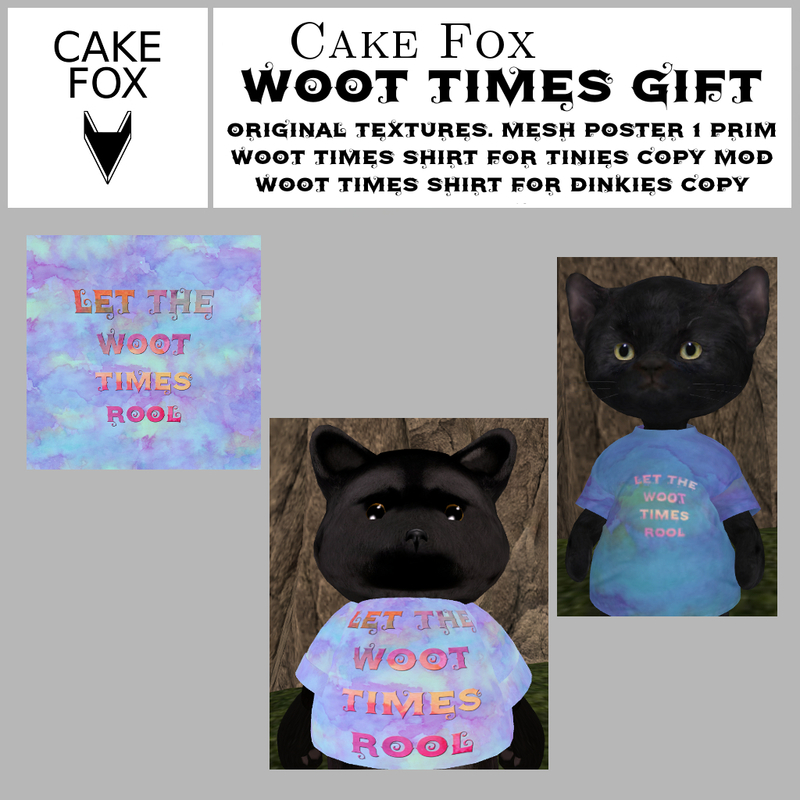 Cake Fox: Woootstock ish here! Free gift by Cake Fox! Woootstock ish here! Free gift by Cake Fox! Here ish this years Wootstock gift by Cake Fox. Original textures were used in creating it. Get it at the festival store. Event starts at 3pm today Friday 29th of July, and runs through the weekend. PS. 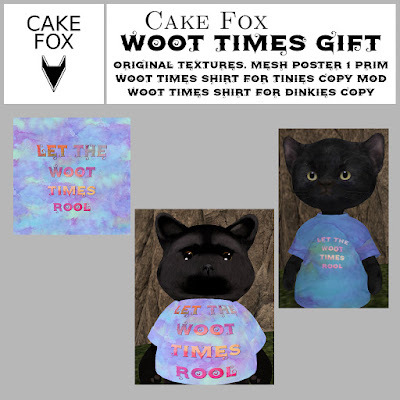 If you take pictures wearing the shirts or somewhere with the poster, I would love for you to add it to the Cake Fox group on Flickr! Or give me a link and I link back to you.